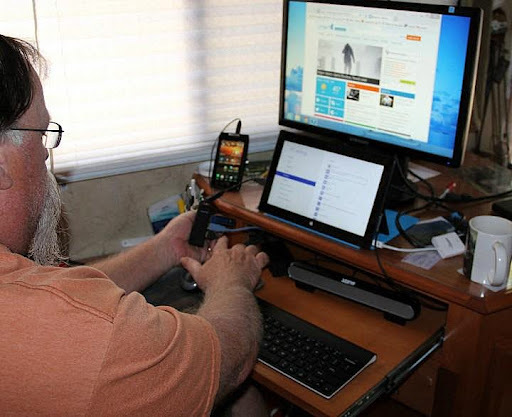 Jim's Surface Pro (the little screen in the middle) with external monitor, keyboard, and mouse. 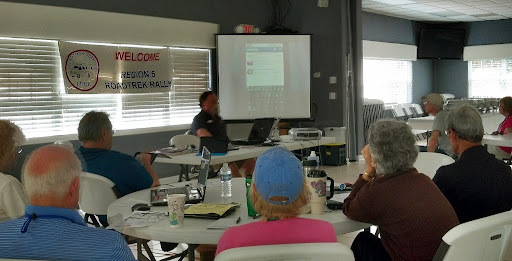 They didn't let us go before we agreed to return for their Chapter rally in February 2014! It’s on our calendar now. It will be held at this same park – Tropical Palms in Orlando. My day to day reality is pretty cool. But it's still my day to day reality and I look for opportunities to spend time doing something even cooler. How about this? 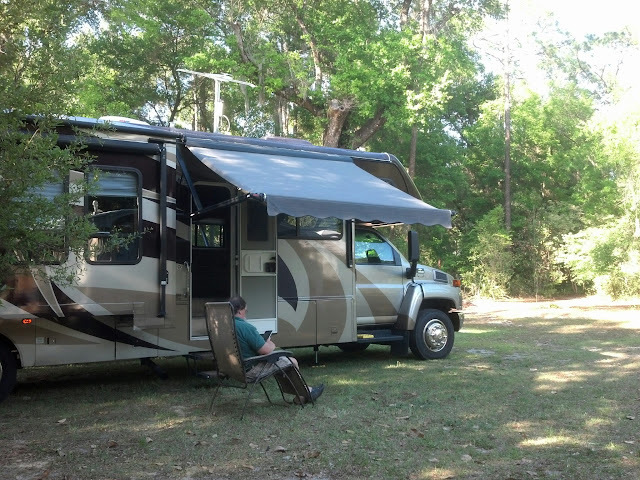 We parked the RV at Alex's house in Melrose Florida. Alex is an old high school friend that we have gotten reacquainted with in recent years precisely because she has space - and hookups - for us to park our RV! It's a beautiful place don't you think? We're here this time because of a writer's workshop that I'm taking. Let me give you a little background. There was a guy in my high school class (along with Alex) named Cary Tennis. He went on to become a writer and has earned an enviable amount of fame as the advice columnist for Salon.com. A quiet, quirky kid in high school, I am in awe of his words and wisdom in this column. I noticed that he offers writing workshops near his home in San Francisco and dreamed of being able to attend one someday. 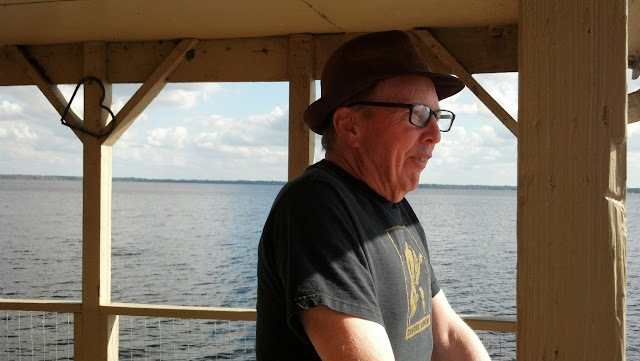 When I saw that he was going to be offering one of his workshops in Alex's town of Melrose, Florida ... and that we would still be in Florida at the time. It took me 2 seconds to decide to attend. I didn't even know about the best part ... the setting. Alex found a house right on lake Santa Fe that was available to rent. Most of the participants would be flying in and staying there. I, of course, stayed in the RV in Alex's yard, but the workshop was held at the house, so I enjoyed it all day long. What do you think? The room where we wrote, talked, laughed and cried. The one who wasn't there for the group shot. These got us going, and then we read aloud. We all marveled at each others' creations. We laughed, we cried, and we sat in silence. It was quite an experience. I am hoping I can hold on to that feeling of freedom to write ... about anything. This blog is a great place to experiment. Watch out! After the workshop was over, we were invited to a local poetry reading group at the historic Bellamy Road. I even got up and read one piece that I had written over the weekend. It was in response to Cary's prompt to tell a story using only nouns! I think I liked this prompt best because it was OK if I didn't know how to put a proper sentence together! The assignment was to not use sentences!